So, 10 years ago = 2006. 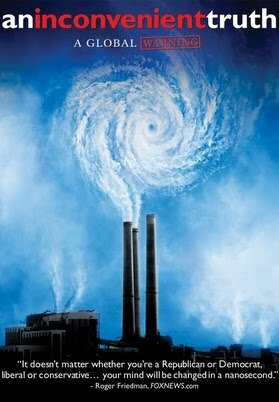 10 years ago yesterday (May 24th), An Inconvenient Truth came out. For those of us who lived through the "dangling chad" era of the Bush-Gore Election of 2000, An Inconvenient Truth brought a new light to politics and to Al Gore himself, 6 years later. Seen more as an intellectual than an a fallen future president, Al Gore and his image instantly turned (with the tables) with this movie alone. Well, at least for those of us in the environmental sphere. "Al Gore for the Win! "...regardless of presidential status. Given all of this, history leads to hashtags this week as #ait10 is sweeping the Twitter-waves. Take Action has inspired this hashtag along with the invitation to share our story of our memories and how this pivotal film has hit us--both then and now. Tara Deporte, founder and executive director, The Human Impacts Inst. I love watching these commentaries and how this movie impacted each of these individuals. You see the birth of activism. It's empowering. It's what we need. People being strong, believing in "whatever" it is that they believe in. It gives passion and purpose to people. It moves you to be moved. Seriously, people. On the spectrum, what's more important? Our existence or which bathroom we use. And let's just make sure we are washing our hands, regardless of which bathroom we use! On this 10 year anniversary, I re-watched An Inconvenient Truth... it's probably my 3rd or 4th viewing ever--but it's certainly been awhile. Seemed like the reflective thing to do, here, 10 years later. Again, my eyes opened, and again I pondered... so what if we are wrong,, and the worst case scenario is that we improve our planet. OMG! What if we improve the planet!!?! For those of you who haven't seen it in 10 years....or forever, you can find it at Amazon and you can rent the DVD at Netflix. I'm sure you can happen upon it elsewhere as well. Prince Ea's "Man vs Earth"